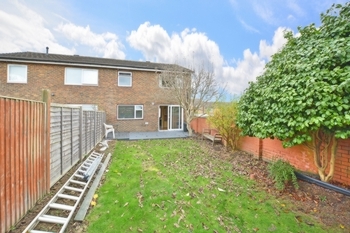 Located within one of Furnace Green's premier roads, this spacious three bedroom family home which has been cherished and cared for by the current owner who has lived in the property for many years. 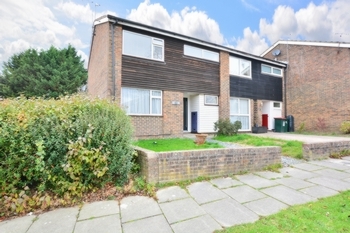 Offering spacious accommodation and an excellent opportunity to upgrade and extend, it is situated within the catchment area for The Oaks Primary school. 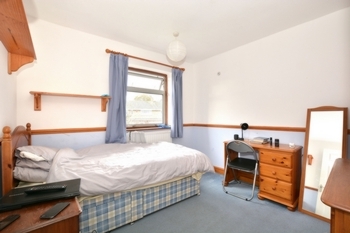 The popular Tilgate Park is just a short distance away and only 0.8 miles from Three Bridges and Crawley train station are both just 1.1 miles away with its fast commuter links to London, equally, junction 10 of the M25 is easily and quickly accessible by car. A small pathway leads you through the front garden to the covered entrance porch. Once you step through the front door you walk immediately into the entrance hall. 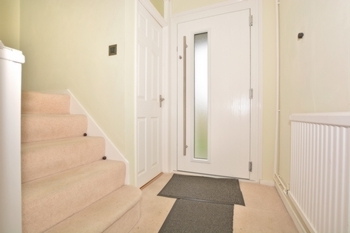 The entrance hall gives access to the downstairs W/C, study / storage room and stairs to first floor and landing. 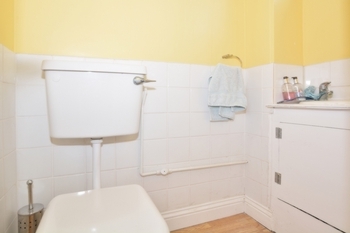 The W/C is fitted with a white suite and has a window to the front of the house. A door from the entrance hall leads through to the 7'3" x 6'10 study / storage room which access the kitchen/ diner. Under the stairs there is a handy under stairs recess cupboard and a further double built in storage cupboard with further ample floor space for a desk and chair. 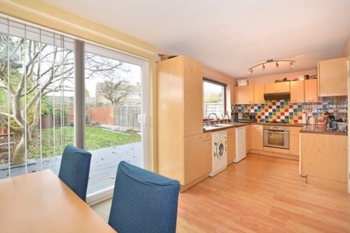 The 19'9" x 9'6" kitchen/diner provides direct access and enjoys views over the garden. 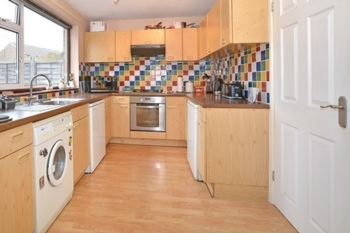 The kitchen has been modernised by the current owner and now comprises a generous range of base and eye level units. 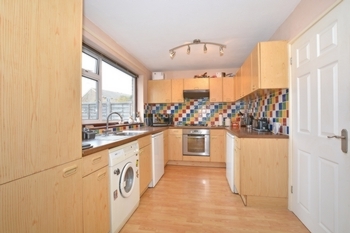 There are some built in appliances such as the Oven and hob with extractor over. 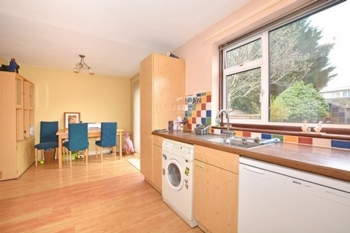 Space is provided for a washing machine, fridge and freezer. 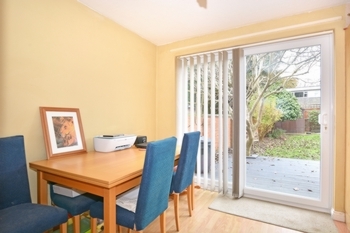 The dining area can comfortably hold a six seater table and chairs with additional space for furniture if needed, all with a view and double doors opening to the rear garden. 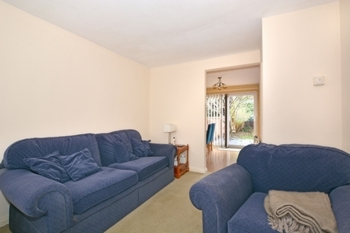 An opening leads through to the family lounge which measures 14'9 in length and has a window to the front. 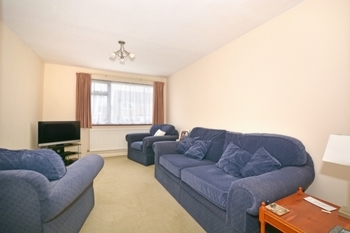 Within the lounge there is adequate space for sofas, as well as other lounge furniture. The lounge also gives generous relaxation space. 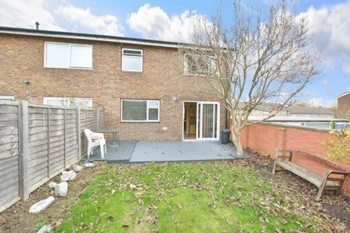 The first floor landing benefits from a storage cupboard as well as an airing cupboard and gives access to the loft, with doors to all bedrooms and the re-fitted family shower room. Bedroom one sits at the rear of the house and measures 11'5 x 10'2. 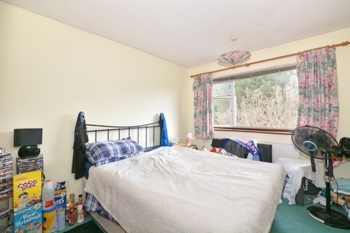 The room can comfortably hold a King size bed with additional room for free-standing bedroom furniture, as well as having fitted double wardrobe. 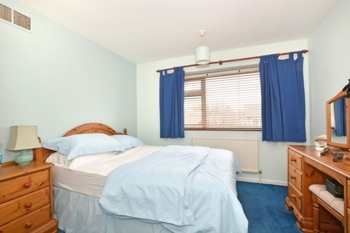 Bedroom two is also a double bedroom with floor space for bedroom furniture and a window which overlooks the front garden with double fitted wardrobe. 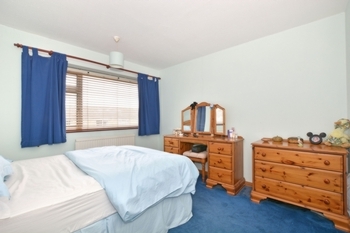 Bedroom three again is a double room measuring 9'5 x 9'3 and holds fitted wardrobes and has a view to the rear garden. 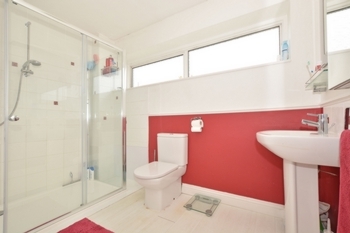 The re fitted family shower room has been fitted with a lovely white suite and holds a double shower cubicle, sink and WC, with a window to the front of the house. 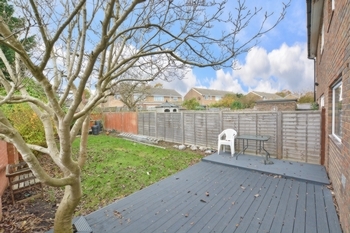 The 50' rear garden is mainly laid to lawn with wooden decked patio area which is enclosed with a part walled and panelled fencing. 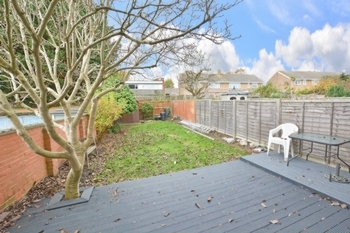 The garden offers easy maintenance and is ideal for entertaining as well as being very child friendly. Within the garden there are mature shrub and plant borders, all with a South Westerly aspect. 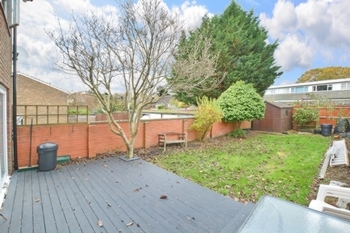 The front garden is enclosed to the front by low level walls and has a pathway leading to the covered porch. Within the garden there are mature shrubs and paved space for waste and recycling bins. 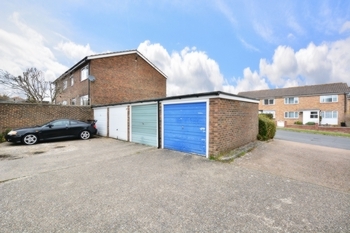 There is a single attached garage which is located adjacent to the property which has parking in front for one car.